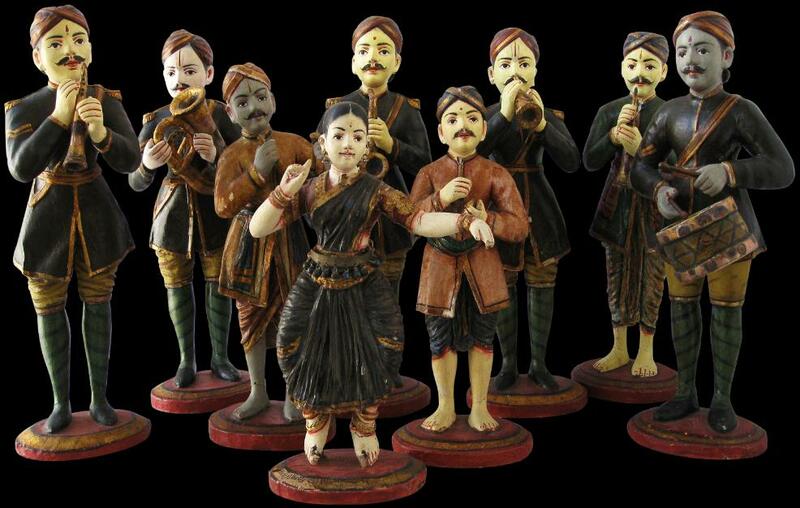 This musical troupe accompanied by a single female dancer of painted carved wood is the finest we have seen – the attention to detail is exceptional. Every fold of cloth and each body movement and contour has been carefully captured by the wood carver. The faces of each performer are particularly sensitively rendered. 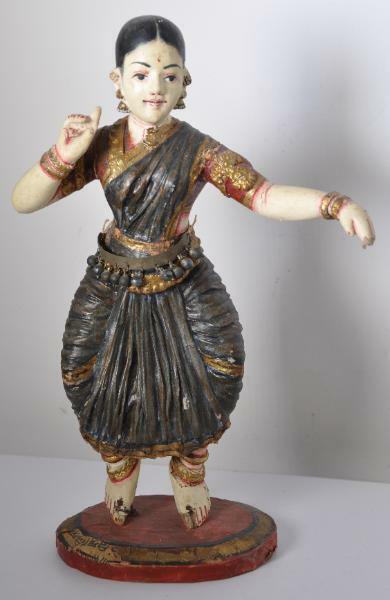 The dancer has a metal girdle about her waist from which metal spheres are suspended but other than that, the set is entirely composed of painted and gilded wood. Each member of the set is also taller than is usual. The set has an excellent patina, and other than for minor age-related losses, it is in very good condition. The set has no religious function; it was made purely for decorative reasons for a local client. Other than the female dancer, the set comprises a bag pipe player, a drummer, a cymbals player and five other players of wind instruments. The troupe might well have been for a wedding or some other festivity. 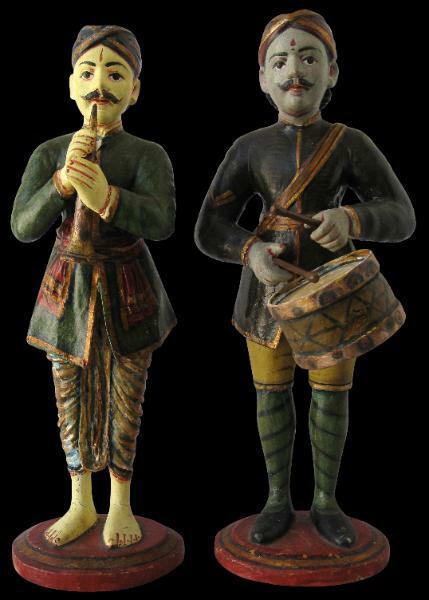 Certainly, the troupe with its (part) Western forms of dress such as breeches, stockings, and military jackets and Westernised musical instruments would have performed for wealthy, educated clients. Indeed, the set was sourced form a Chettiar mansion in Tamil Nadu. 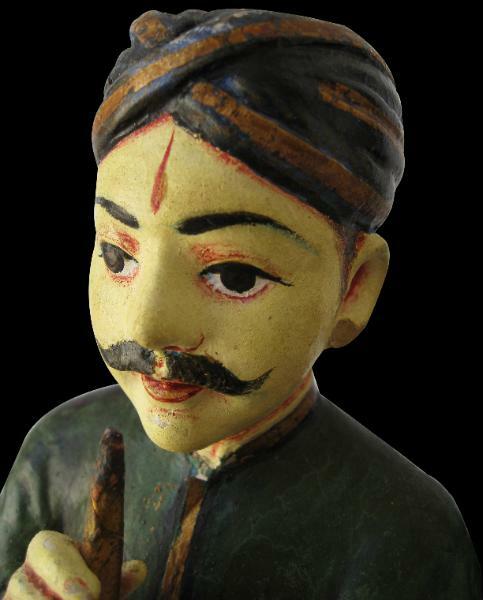 The Chettiars are a caste group with a caste-occupation linkage of money changing and lending, and trading. Tightly knit, the Chettiars have nine temples in Chettinad and all Chettiars regardless of where they are born, belong to one or another of these nine temples, which effectively function as clan temples. nattukottai) in Chettinad, many of which housed the extended family and which took up whole blocks in city and village streets. 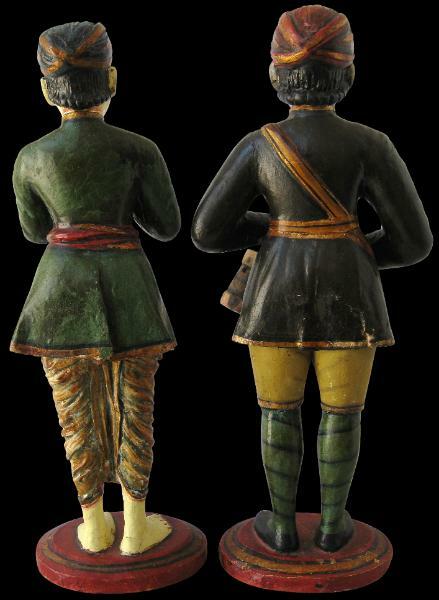 The mansions were sumptuously decorated – these statues are an example of the sorts of decorative items the Chettiars preferred. The fortunes of the Chettiars declined after the Second World War. Much of their wealth was overseas in Burma, Sumatra and Malaysia. But with rising nationalism, ethnic tension and even nationalisation, much of their wealth was lost or confiscated. 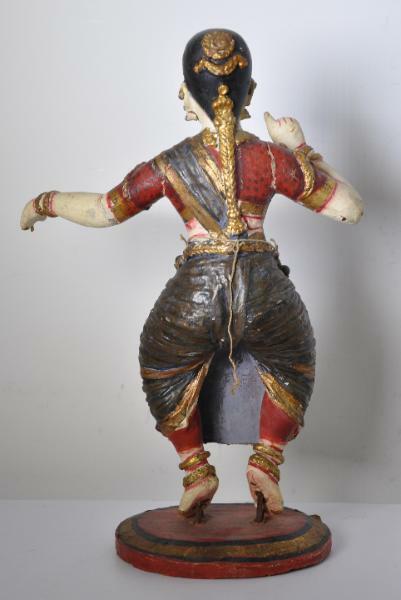 Overall, this is a highly decorative set, of excellent quality and in fine condition. There are some losses here and there to be expected given the material from which they are made, and their age. Muthiah, S., The Chettiar Heritage, Chennai, 2006.